We all know that millennials will go to pretty much any length to get the perfect holiday snap to post on social media. However, it’s definitely not something that is restricted to the younger generation, as demonstrated by this story of a senior citizen floating out to see during a photo op. 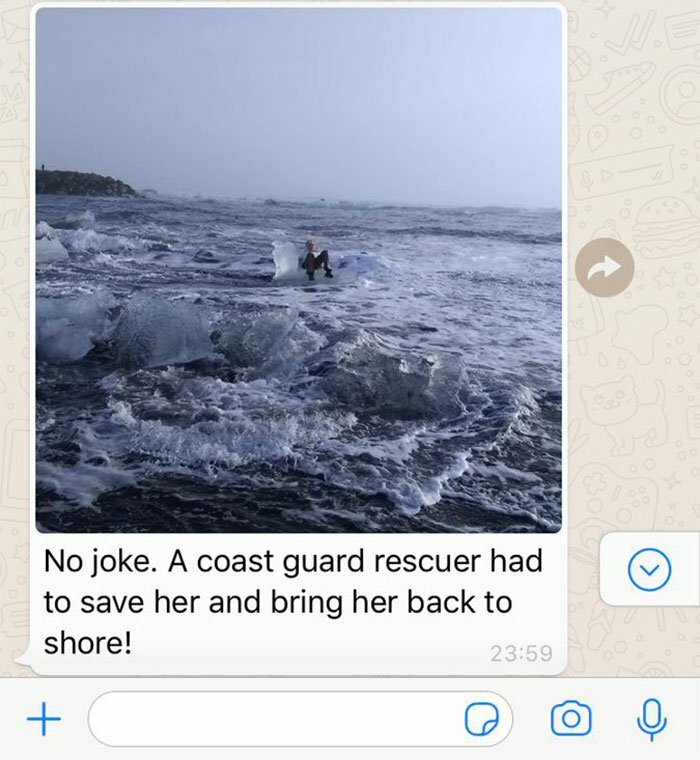 Twenty-four-year-old English teacher Catherine Streng recently shared with Twitter that her sweet grandmother had almost got washed out to sea in Iceland, after the small ice structure that she was posing on got pulled away by a large wave. To the delight of Twitter users across the world, Streng the entire dramatic tale in a thread, complete with pictures of the scary experience. Before you get concerned, Grandma is fine, and got back to shore safe and sound in the end – but not before some amazing photos were taken. Catherine, who posted the images, works abroad in South Korea, but her family is based in Texas. 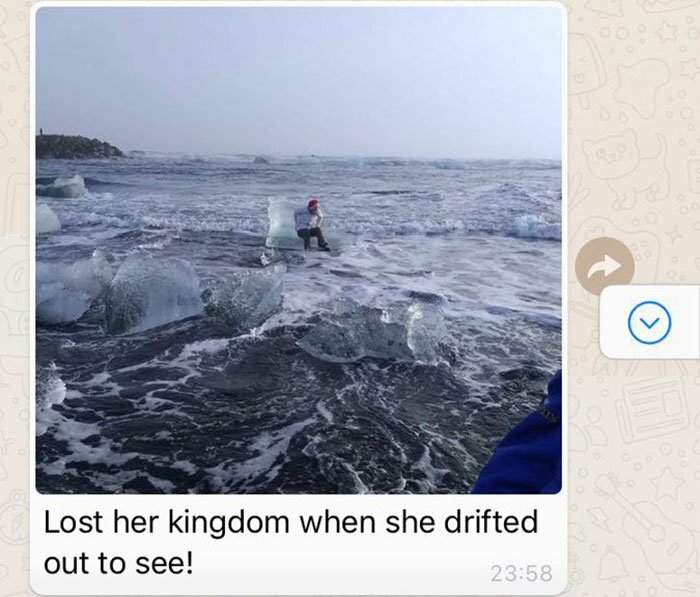 She was made aware of her grandma’s daring ice-capades by her dad, who had taken his Mom on a once-in-a-lifetime trip to Iceland, and sent a series of texts and photos from the trip. 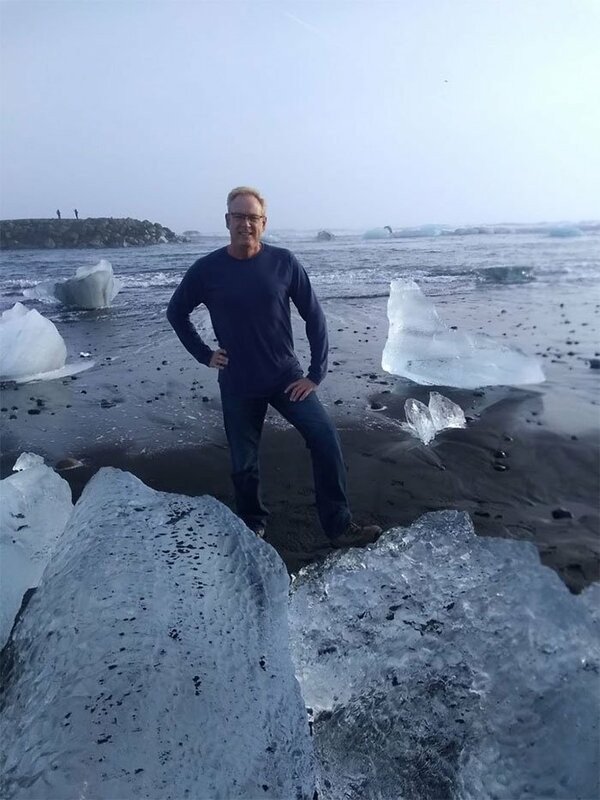 Streng told Buzzfeed the reason they were in Iceland was because her dad’s mother wanted to experience “the nature and beautiful scenery” of the Nordic area. Well, be careful what you wish for! The event happened at the Jökulsárlón Lagoon, located in the southeastern part of Iceland. 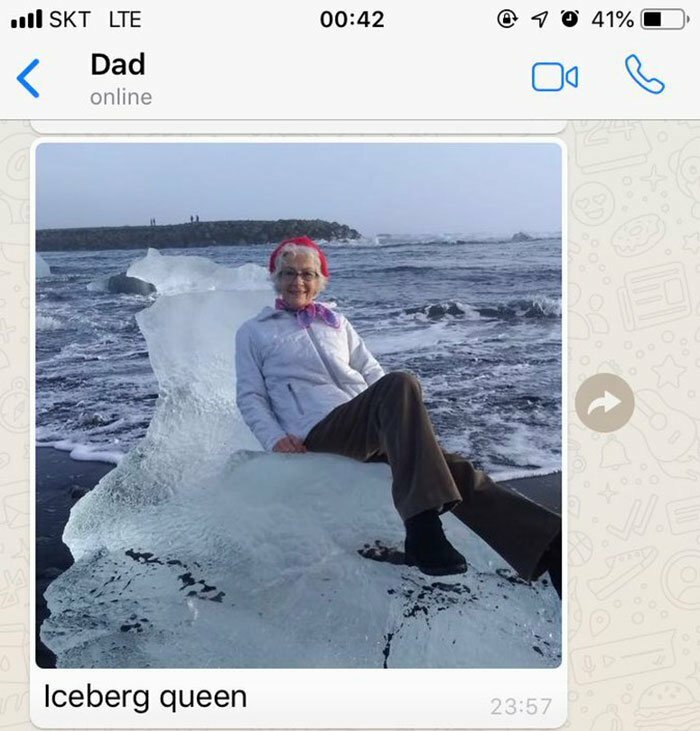 Streng’s grandmother spotted an iceberg shaped like a throne and decided this was the perfect photo opportunity. She sat on the ice and had her son take a photo, but things didn’t exactly go according to plan. Streng said her grandmother floated so far out to see that she required a formal rescue, and fortunately, there was someone around who could assist. Licensed boat captain and water rescuer Randy Lacount, from Florida, had witnessed the entire thing and jumped to her rescue. “He just happened to be onshore when the whole thing occurred, so he waded out into the roiling water and pulled her off the iceberg as it drifted out to sea, supporting her until they reached the shore,” said Streng’s dad. Thanks to Grandma being returned safe and sound, it means that the family can all share a somewhat guilty laugh about the whole experience. A lot of people on social media noted with disbelief that the father carried on taking pictures even as his mom was being swept away. But then again, what could you possibly do to stop an iceberg? We’re glad everyone made it out of the incident safe and sound. I know we shouldn’t really laugh, but I can’t help it!